Download the DWW-SBSM Fact Sheet here. DWW-SBSM was founded in 2005 by three family physicians: Mark Stinson MD, Sabina Diehr MD and Noemi “Mimi” Doohan MD PhD. The creation of DWW was inspired by the need for local humanitarian medical volunteerism in response to disasters both acute, such as 9-11 and Hurricane Katrina, and chronic, such as poverty and homelessness. The work of Jim Withers MD, and his organization Operation Safety Net in Pittsburgh Pennsylvania provided the DWW model for street medicine and medical volunteerism for the homeless. The vast disaster experience of Dr Mark Stinson, both nationally and internationally, provided the DWW model for medical volunteerism during times of disaster. 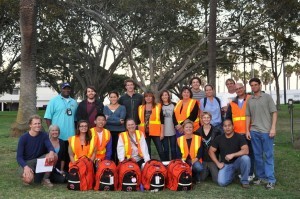 Using these models of volunteer homeless and disaster medicine, the DWW programs were designed and implemented. DWW was a founding member, and continues to be closely affiliated with, the International Street Medicine Collaborative, which has recently formed a Street Medicine Institute based at Operation Safety Net in Pittsburgh PA. This important Street Medicine affiliation enables us to study and implement best-practices, network globally, and advocate for those we serve. The volunteer-based programs Drs. Doohan and Stinson created have continued to develop and grow since their inception. 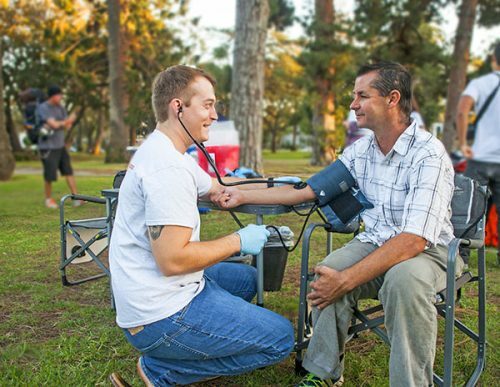 The organization’s name was changed to Doctors Without Walls-Santa Barbara Street Medicine (DWW-SBSM) in 2008 in order to emphasize our connection with the international street medicine movement. Integral to all of the DWW-SBSM programs is the goal of creating social change/social justice models for health care that can be efficiently scaled up in response to unmet community needs and replicated in all parts of the US. In April 2008, DWW-SBSM formally affiliated with Direct Relief International. DRI provides supportive services for DWW-SBSM including acting as the fiscal agent. DWW-SBSM was granted State of California Non-profit corporate Status in May 2008 and in November 2008 was granted 501(c)3 tax exempt status.